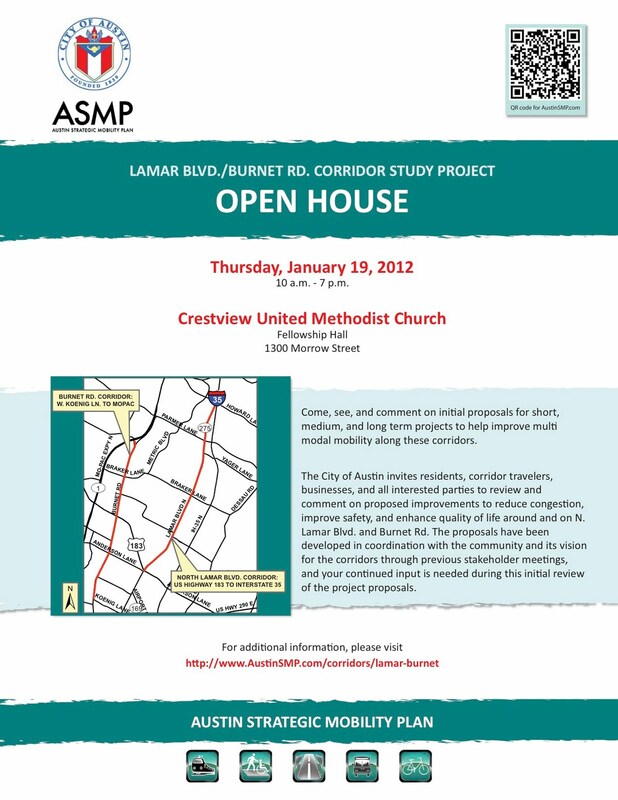 The City of Austin will be hosting a Lamar Blvd./Burnet Rd. 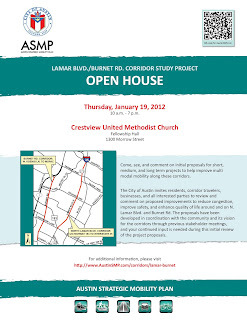 Corridor Study Project Open House on Thursday, January 19, 2012, 10:00 a.m.-7:00 p.m., Crestview United Methodist Church, Fellowship Hall, 1300 Morrow Street. See attached flyer for more info.